EthiPen – administer for courage in fighting drug company lobbyists opposing fairness in prescription medicine pricing. Not to be confused with: EthniPen – restores pride to targets of ethnic slurs, for example, the popular variant, ‘GiuseppePen’. PrepiPen – for the ultimate in survival, this pen injects the chemical responsible for the long shelf-live of Twinkies into any perishable food. For a limited time, packaged with bonus syringe of actual filling. JohnnyDeppiPen – inject Yorkshire Terriers or any other small breed, and the dogs are turned into plush toys. Once through Customs, they are easily reanimated with a splash of water. Convenient travel pack stores in pirate’s puffy shirt. AleppoPen – should be plunged into the diplomatic thighs of UN Security Council dinner guests who bloviate about red lines or coalitions, to help induce some memory, any, of the Sarajevos of our recent past. EpicuriPen – when the appreciation of fine food and drink gets the better of you, take a quick shot of this pen to cleanse the palate. KlepiPen – there is no medicine in this pen. You just steal it. Packaged two to a box, with additional simulator, so you don’t have to steal your own. 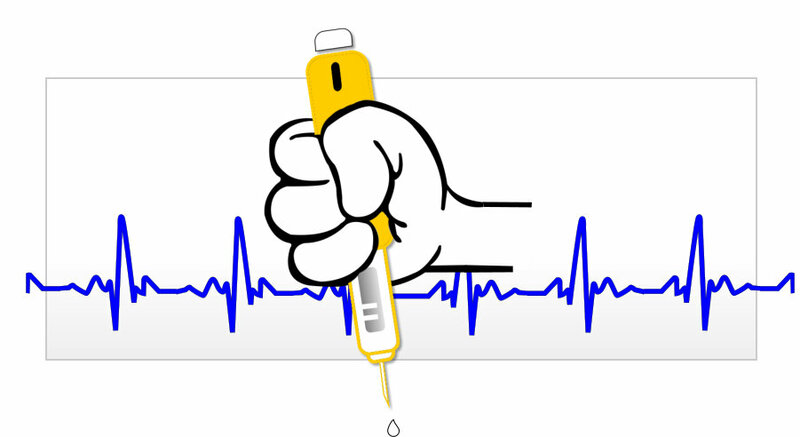 StepiPen – Should any step in your recovery program go missing, one shot of the medication in this pen will restore your progress and keep you from throwing yourself down the nearest set of 12. RepiPen – used to fortify pharmaceutical sales reps when they run out of EpiPen rebate slips. LedZeppiPen is administered by tour managers to touring rockstars to treat dyscalculia, difficulty in comprehending numbers, should they confuse the number “14” in a groupie’s age with “18”. DefLeppiPen is applied upon losing an arm in a horrific motoring accident, to allow one to resume a brilliant drumming career without missing a beat.